The name for this beer had an interesting story behind it. It was called Sunshine Saison when as a home brew it was entered in the national homebrew competition. It was one of four beers I had entered and the one that I had my highest hopes for. When the scores came back I did not get the medal I was hoping for but rather the somewhat scathing 14/50. In BJCP terms this is borderline undrinkable, I think you score 13 for filling in your name on the application correctly! 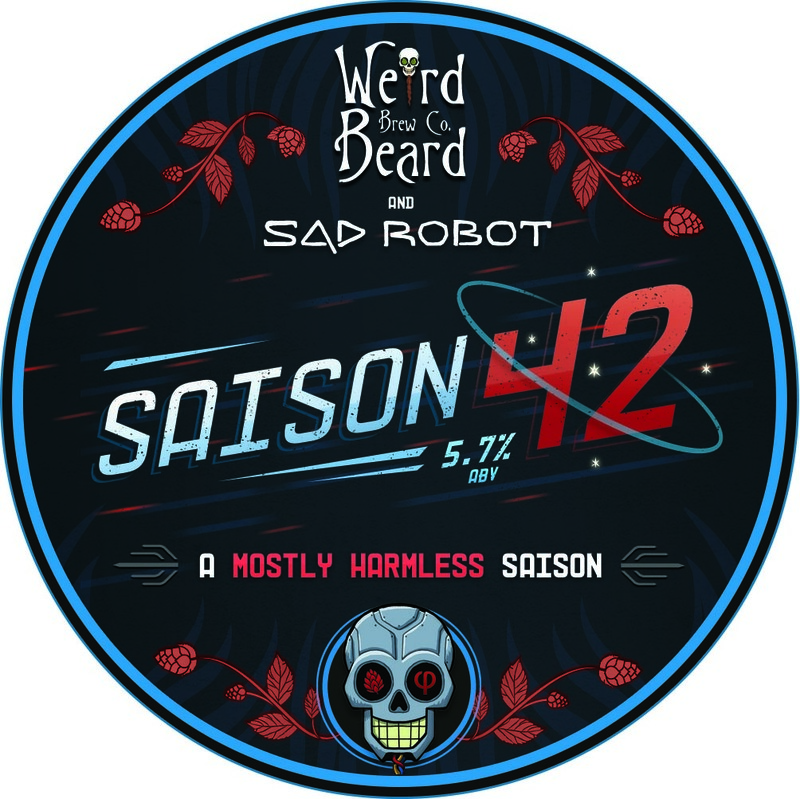 This nearly put me off brewing this beer but loads of people who had tried the beer persuaded me to continue with the brew, and to honour the judges that gave me such a low score we named it Saison 14. This beer is highly carbonated and dry, making it a great summer quaffing drink. The hops are Sorachi Ace and Pacific Gem that gives a lemon and vanilla taste that plays well with the traditional saison yeast notes. Only available in keg and bottle. Grab some from the usual outlets, and drink some with some grilled fish. As you are probably very aware Weird Beard are the product of home brewers becoming pro. The home brewing community is a fantastic place to learn and grow as brewers. We met Ingemar at the London and Southeast craft beer festival in 2011, a home brew competition run by LAB. Ingemar was the closest we had ever met to a Scandinavian giant. Towering over us at 6ft 10 he was certainly a commanding and memorable presence. We met again at the Brewdog AGM and the Borefts festival, so we were almost old friends when we met at the festival again in 2012. At this point we were both talking about becoming professional brewers. We invited him to come and brew with us and our first collaboration was born. We bounced around ideas about an elderflower pale ale, and many others before deciding on a saison, slightly darker than normal, hopped with Bobec with a twist of some of the batch being primed with elderflower cordial rather than sugar. Ingemar is a big Sci-Fi fan so this beer has a slight Douglas Adams theme. 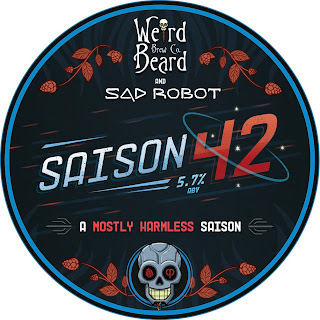 The answer to Life, the Universe and Saison is obviously Saison 42. The beer is amber in colour, well carbonated and a quite traditional Saison-like taste. The elderflower-primed Saison 42e has a floral nose and slightly sharp edge to it. Available in kegs and bottles. Don't Panic! Share and Enjoy! When it is ready it will be available in bottles and Keykegs.